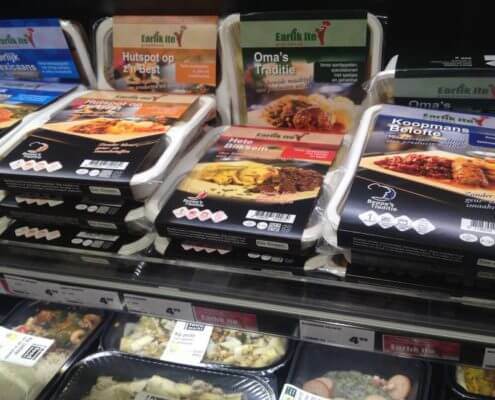 Sustainable eco-friendly meal packaging which stand out on shelfs. Meal trays can be used in combination with a label, sleeve of banderol. Usage of MAP or freezer for longer shelf-life.